Which Angolan Book Should We Read? 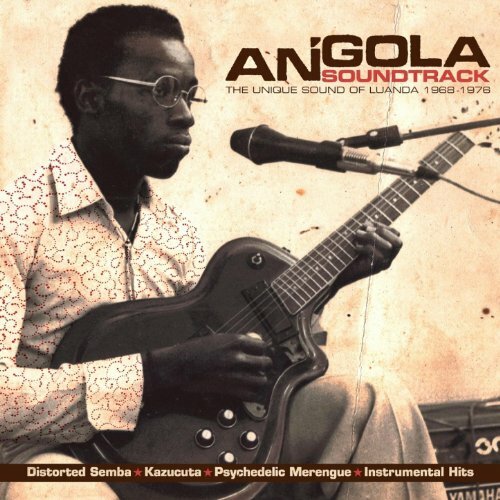 While researching Angola, I was astonished to find some fantastic, upbeat music from Angola during a particularly bloody time in the country’s war for independence. This collection of Angolan music included here from Luanda (the capital of the country) is so engagingly funky that I’ve been listening (& shimmying) to it every day while I cook. I highly recommend it! And since it’s available to stream online for free if you’re an Amazon Prime member, why not try it? Tracks #13 Fuma (Smokes), #14 Passeio por Luanda (Stroll through Luanda), & #17 Pica O Dedo (Scratch Your Finger) are my favorites.